The Free Medical Camp by experienced Indian medical doctors at Al Sabah Children’s Hospital has come to an end on Sunday. The three-day medical service saw the experienced and specialists doctors providing medical care to five hundred and five people in Juba. One of the specialists, Dr. Bishnupriya Dutta said she was moved by cases of pregnancies, single motherhoods and sicknesses that can be prevented by having access to adequate food. “Pregnancies, single motherhood, children and malnutrition, pediatric (a medical services that involves the medical care of infants, children and adolescents) generally is a huge thing. Obviously because of malnutrition a lot of IBS, ulcer and piles are common yet it can be treated (through) general surgeries,” she told Juba Monitor. “Having adequate food will prevent you from having gastric ulcers, acidic flushes or piles,” added the Gand Ghealth Care (G&G) Chief Operations Officer (COO). She said women need to be empowered so that they can prevent some of the preventable diseases and cases. “If women are educated your healthcare is already improved at home. The doctors can only do that bid at the end of the day women are there taking care of the nest,” Dutta stressed. Dr. Suresh Chandra, the team leader of the Indian Doctors said the medical team was obliged to work in South Sudan to meet the medical needs of the citizens.He promised to come back when ever asked. 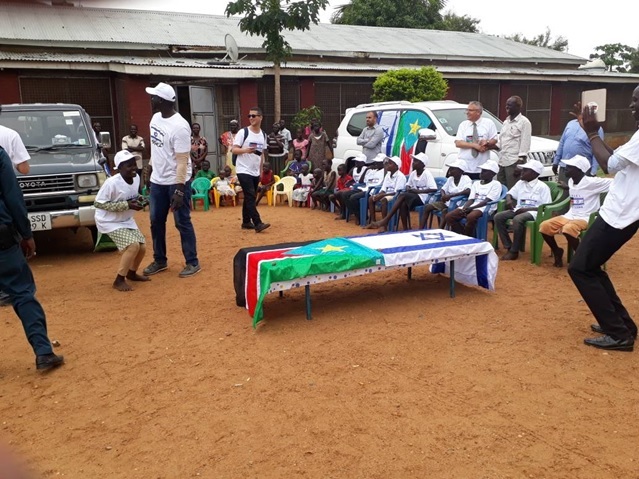 “We are ready to train and conduct medical trainings and free consultation services to South Sudanese because of the great experience we had in this country,” Dr. Chandra promised. Jubek State Minister of Health, Dr. Salyi Lolaku Samuel applauded the Indian Medical Doctors for their kind service to the people of South Sudan. He noted that the health facilities in the country are very poor that is why the country depends on foreign expatriates for serious medical cases. “We still need a lot of things to be done and most of our people are very poor. They cannot seek medical services abroad, especially in India,” Dr. Lolaku said. He said the fact that most South Sudanese go to India for various medical treatments means India is providing good health care services both in the country and in India. The minister urged the doctors to visit remote areas next time when they come to South Sudan. He said people in the rural areas were in dire need of health services but access to the city is a challenge for them. “We have a good number of our people in the country side, but now it is not possible for this team to go and do services there, maybe the next team will. But with the upcoming peace things will be fine. Instead of camping here, we would ask you to camp in one of our counties around. We have 13 counties some are just nearby. We have Rajaf County which is across the river as well as Gondokoro and Ladu counties. I am sure next time this will be coordinated before your coming so that government can also facilitate some things,” Dr. Lolaku. India is a major destination for South Sudanese patients seeking medical treatment. In January this year, the Indian Embassy in South Sudan announced plans to build a Psychiatric Hospital in Juba to provide healthcare services to mentally ill patients in the country. Indian Ambassador to South Sudan, S D Moorthy had said the hospital which would be named, Gandi Mental Friendship Hospital, would improve the country’s poor health infrastructure destroyed during the conflict. Ambassador Moorthy said the Free medical Camping, is the third of its kind in the country and will continue in the future. He said the Indian community in South Sudan is willing to offer any support to the host communities anytime. He thanked the Indian medical team for their utmost medical services and urged them to continue providing charity services in the country. Meanwhile, the Acting executive director of Al Sabah Children’s Hospital, Dr. Felix Nyungura said he was overwhelmed by the presence of the Indian Doctors at the hospital, saying if not for the conflict situation in the country, he would have urged the doctors to visit more frequently. A report by the Doctors without Borders organization, Medecins Sans Frontiers in 2016, tens of thousands of people displaced due to the conflict have limited access to healthcare services and humanitarian assistance across the country. According to the South Sudan Village Assessment Survey Report of 2013, by the International Organization for Migration (IOM), Increasing availability and access to the health care system in South Sudan has proved to be a challenging task for the government organizations and the international community stating that only 25% of the population of South Sudan has regular access to health facilities. Despite having a four-tier health services structure, South Sudan’s health facilities do not provide official referrals, placing the decision to seek specialized care to the discretion of the patient, according to the Ministry of Health’s Health Sector Development Plan 2011 – 2015. It says the limited accessibility to health care is directly affected by the lack of infrastructure and poor state of the existing health facilities. The report also indicates that there is a critical shortage of qualified medical practitioners in the country. According to WHO and the MoH, there are a total of 189 physicians in South Sudan—or one doctor for every 39,088 persons. Central Equatoria State accounts for the highest concentration of physicians in South Sudan (51%), while Western Equatoria and Jonglei do not possess any qualified South Sudanese physicians. County hospitals provide the most advanced medical treatments, well beyond the capacity of Primary Health Care Units (PHCUs) and Primary Health Care Centres (PHCCs). Hospitals are located at county administrative headquarters and PHCC cases are referred to this level where secondary health care is also available. Currently only 15 hospitals, 88 PHCCs and 348 PHCUs are available nationwide, the survey report states.